Shipping from Calhan, CO. to Inver Grove Heights, MN. 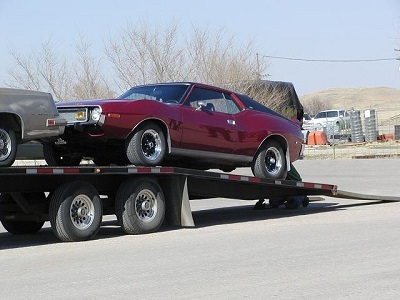 was contracted to A AAAdvantage Auto Transport for $695.00. The actual move was completed by Randy Staves Trucking. Other than they picked the car up a day earlier than they were suppose to it was a very well executed ship. Car was picked up on Thursday 4/4/2002 around 3 PM and delivered to my door on 4/5/2002 around 1 PM.